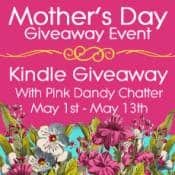 Blogger registration is now open for Pink Dandy Chatter’s Mother’s Day Giveaway Event! Registration closes on April 25, 2012 at noon CST. Visit Pink Dandy Chatter for more information!